Brazilian Jiu-Jitsu is easy and fun to learn, but takes hard work, discipline, and dedication to master. Our focus is maintaining the highest level of instruction in Brazilian Jiu-Jitsu, training with a partner in every class so you quickly learn what works—and what doesn’t—against an opponent who is resisting. We emphasize technique and positioning, which often dictate the outcome of a confrontation, whether in competition or self-defense. Both gi and no-gi classes are comprised of a brief warm-up, guard passing drills, positional drills, and technique training. We offer a full schedule of daytime and evening classes, so get in touch to try an entire week for free! Students of all ages, sizes, and ability levels will feel comfortable here. We’ll pair you up with the perfect partner for your introduction to BJJ—all you need is a shirt, long pants, and water bottle! 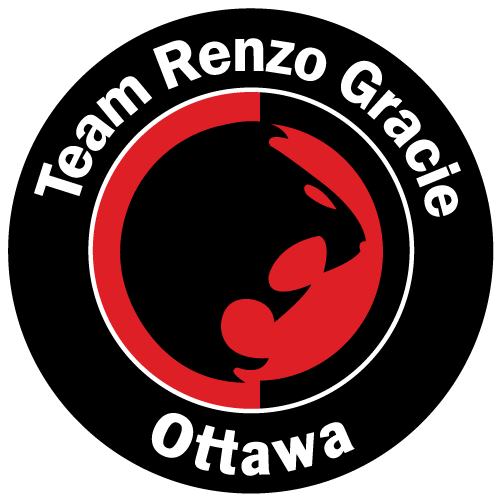 We’re a proud affiliate of Team Renzo Gracie Ottawa, promoting and teaching Gracie Brazilian Jiu-Jitsu under the guidance of Canada’s first Renzo Gracie Black Belt, Professor Pat Cooligan. Multiple times a year, we offer our members indepth BJJ seminars taught by some of the best in the world, including former UFC champions and high-level black belts, right here in North Bay. For those interested in testing their hard-earned skills, our competitive team regularly participates in tournaments throughout North America, at all belt levels, in both gi and no-gi divisions.